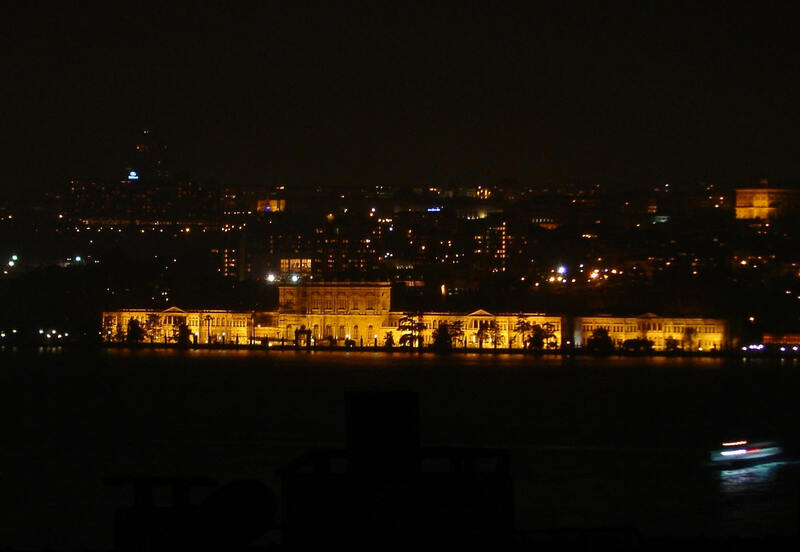 The Dolmabahçe Palace located at the European side of the Bosphorus in Istanbul Turkey. 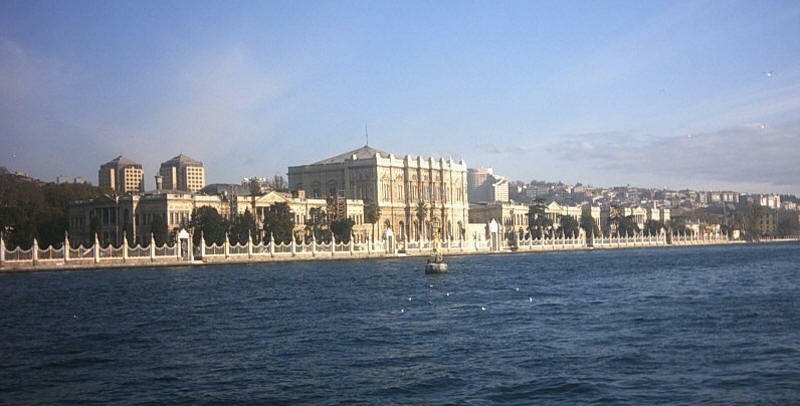 The palace served as the main administrative center of the Ottoman Empire from 1853 to 1922, apart from a twenty-year period (1889-1909) in which the Yıldız Palace was used..
Dolmabahçe Palace was the first European-style palace in Istanbul and was built by Sultan Abdülmecid between 1842 and 1853, at a cost of five million Ottoman gold pounds, the equivalent of 35 tons of gold. 14 tons of gold was used only to adorn the interior ceiling of the palace. The world's largest Bohemian crystal chandelier, a gift from Queen Victoria, is at the center hall. The chandelier has 750 lamps and weighs 4.5 tons. 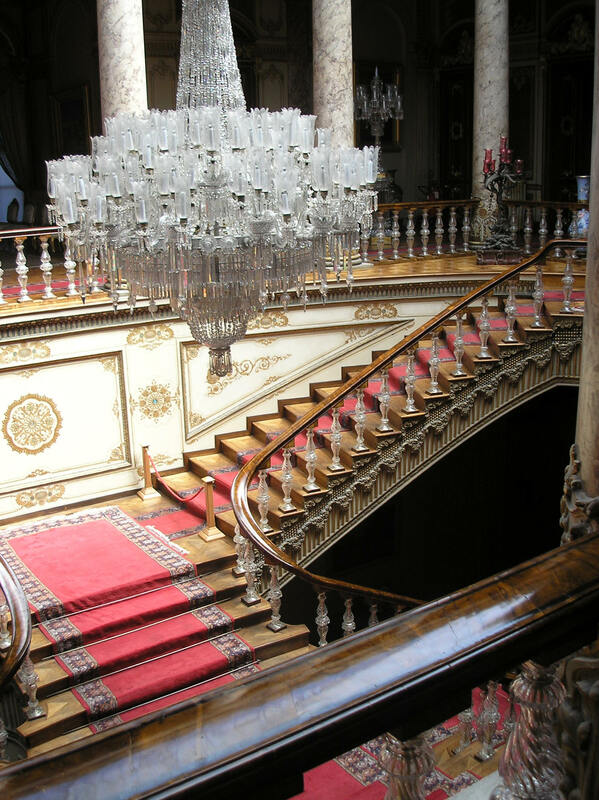 Dolmabahçe has the largest collection of Bohemian and Baccarat crystal chandeliers in the world, and one of the great staircases has bannisters of Baccarat crystal. Dolmabahçe was originally a bay in the Bosphorus which was filled gradually during the 18th century to become an imperial garden, much appreciated by the Ottoman sultans (and from here comes the name, dolma meaning 'filled' and bahçe 'garden'). Various summer palaces were built here during the 18th and 19th centuries. 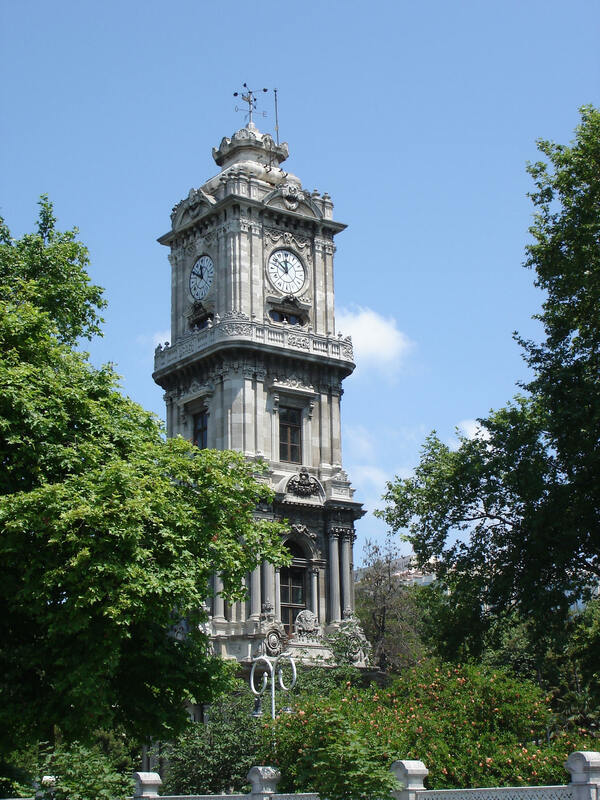 The palace that stands here today was built between 1842 and 1853 during the reign of Sultan Abdülmecid, on the site of the old coastal palace of Beşiktaş, by the Armenian-Turkish architects Garabet Amira Balyan and his son Nigoğayos Balyan. 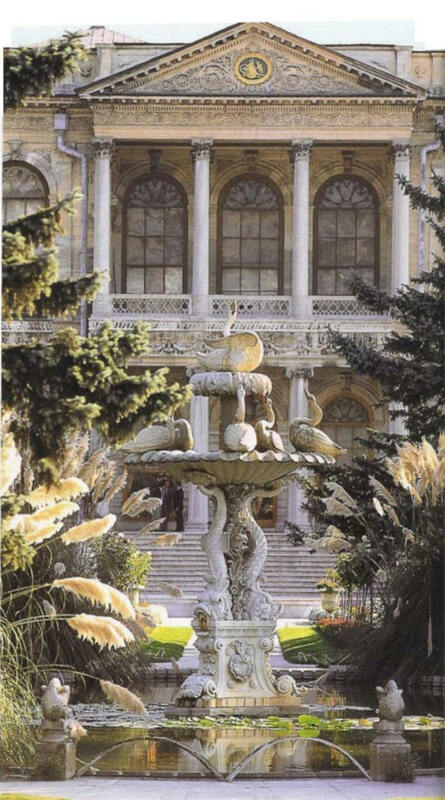 The Sultans moved here since the old Topkapı Palace lacked the modern luxuries that the Dolmabahçe could provide. The palace is composed of three parts; the Mabeyn-i Hümâyûn (or Selamlık; the quarters reserved for the men), Muayede Salonu (the ceremonial halls) and the Harem-i Hümâyûn (the Harem; i.e. the apartments of the family of the Sultan). 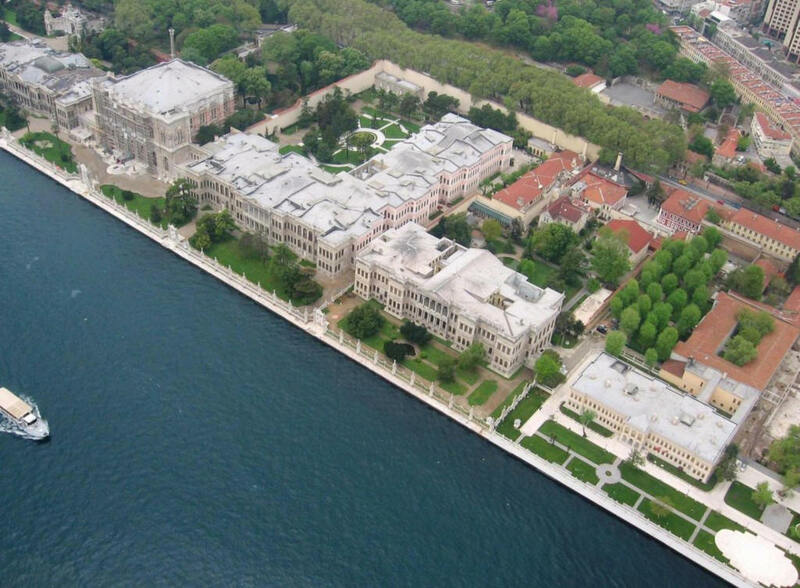 The palace has an area of 45,000 m² (11.2 acres), and contains 285 rooms, 46 halls, 6 baths (hamam) and 68 toilets. The famous Crystal Staircase has the shape of a double horseshoe and is built of Baccarat crystal, brass and mahogany. The palace includes a large number of Hereke palace carpets made by Hereke Imperial Factory. Also featured are 150-year-old bearskin rugs originally presented to the Sultan as a gift by the Tsar of Russia. Mustafa Kemal Atatürk, the founder and first president of Turkey, spent his last years in the palace as his health deteriorated. Atatürk died at 9:05 a.m. on November 10, 1938, in a room that is now part of the museum. The palace is managed by Milli Saraylar Daire Başkanlığı (Directorate of National Palaces) bound to the Grand National Assembly of Turkey. 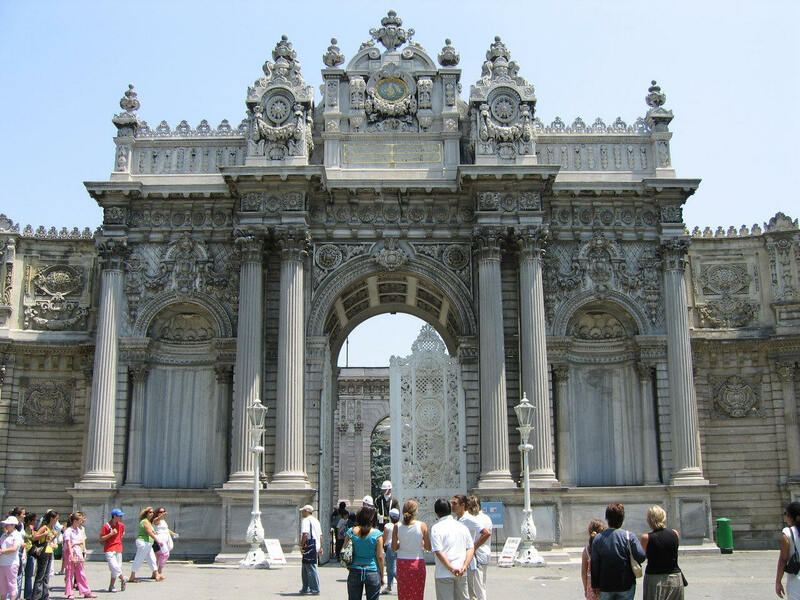 Dolmabahçe Palace Museum is open to public on weekdays from 9:00 to 15:00, except Mondays and Thursdays.